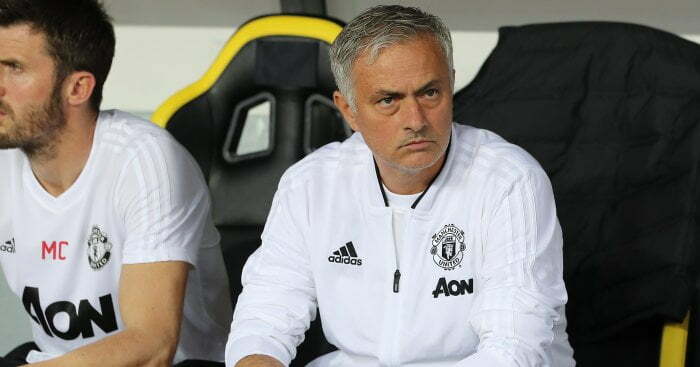 Manchester United manager, Jose Mourinho has stated that his side should not be speaking of winning this seasonâ€™s Premier League title after losing 3-1 to Manchester City in the Premier League derby clash on Sunday. Three goals from David Silva, Sergio Aguero and IIkay Gundogan ensured victory for Guardiolaâ€™s men. Forward, Anthony Martialâ€™s lone strike was not enough to get a point for Mourinhoâ€™s side. Mourinho, however, has now stated that the Red Devils cannot think about the English top-flight crown, adding that they must first try to make the Premier League top-four. The defeat to City leaves United 12 points behind the Premier League champions. Mourinho told Sky Sports: â€œWe are outside the top four. How can we speak about the title? â€œTo speak about the title you need to be in the top positions. So letâ€™s fight to close the gap and jump into the top four, if one day we jump into the top four, weâ€™ll see what the difference is. â€œItâ€™s 12 points. I think our team is improving a lot, even defensively conceding three goals, it was a positive defensive performance. â€œWe knew that there is a difference in potential. Since the beginning of the season, we knew that our second position last season was a fantastic achievement for us, and this season we are going to fight for the top four.